What are our federal and state lands? They are those pristine places where the deer and antelope play. Songs of yesteryear enshrined in what are known as our National and State Parks, Forests, Refuges and Monuments. Whether here in The United States or in any other country around the world, these areas are refuge. They are refuge for all living creatures who dwell there, from the smallest ants to the largest elephants and whales. They are places of peace and tranquility where we humans can find respite from the noise of our development, in whatever form it should take. I can vividly recall the time when I saw a cougar prancing up the cliff line at Wenima Wildlife Area, Arizona. The awe I felt when the alligator blocked my trail at Laguna Atascosas NWR, Texas. I was awakened by the deafening sound of the Howler Monkey Troop hollering high atop the deciduous forest at Rio Bravo Conservation Area, Belize. I was seduced by the rainbow clad Yosemite falls in Yosemite National Park, California. These are sacred places for all of us. So when we hear stories of governments that are trying to undermine our wide open spaces like the current administration is proposing and implementing, it raises our collective ire. Within six months of taking office, Donald Trump ordered Interior Secretary Ryan Zinke to review all national monuments and assess what should be reopened to mining, ranching and/or logging. Mr. Zinke came up with 22 sites, listed here, almost all located in the sparsely populated parts of the west. 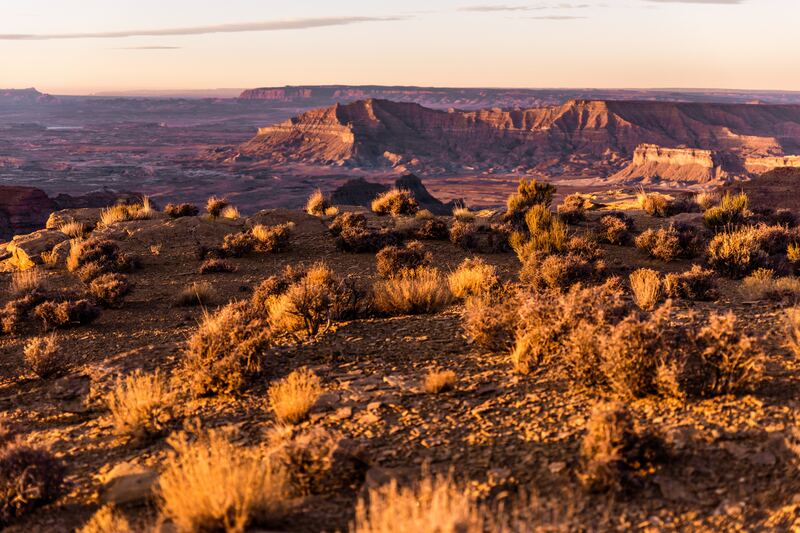 Six months later, the first casualties were announced: Bear’s Ears and Staircase-Escalante National Monuments (both in Utah) are to be shrunk respectively by 85% and 50%, or a staggering 2 million acres, and re-opened for human-driven business. The World Bank has assessed all 217 countries in the world and compiled totals of each country’s protected areas. Experience has shown that we should hold these announcements with baited breath as companies’ interests through the local courts can sometimes derail the process. Although illegal trade in animals and resources will continue to take its toll, these are indeed hopeful developments. There is even some protection movement in our planet’s oceans. While the world is only protecting a paltry 8.8% according to world bank data from 2016, some countries are stepping up. Just like on land, marine reserves are still subject to fishing exploitation legally and illegally, but designations are in place and watch groups are keeping their eyes on them. Looking back at terrestrial lands protected data from the World Bank, there were only 13 (6%) countries in the world that saw their protected lands decline from 2000-2016. As you might have guessed, that includes the United States, but also three other countries governed by us: Guam, American Samoa and Puerto Rico. These losses span both Republican and Democratic leadership (lack thereof) in the White House, Senate and House of Representatives. That’s right, Donald, you are wrong. And we the collective beings of the world want our natural resources protected from exploitation now and forever.